The second story, “The Tail of the Raccoon, Part II: Touching the Invisible” explores further the relationship between Sign-Tracking and drug addiction. Blind people have used the phrase “touching the invisible” to describe feeling the essence of an object when you can’t see it, but you know that it is there. This applies because Sign-Tracking of drug-taking is invisible. It is difficult to detect because it is readily mistaken for and easily passes for something quite different, intended drug-taking. In other words, you can’t see Sign-Tracking of drug-taking because it is perfectly camouflaged as an intended act of voluntary drug-taking. Sign-Tracking is the blind spot in the drug addiction process. You do not understand why you cannot resist taking the drug. Though you are blind to it and can’t see it, you can certainly feel it. The drug addict is pulled into the act of drug-taking by the invisible force of irresistible attraction, the magnetic pull of the sight of the object used to consume the drug. The lesson of the second story is that there is a hidden aspect to Sign-Tracking, and this explains the hidden aspect of addiction. When the reward (Alatro’s potion) is placed inside the object that is used to consume the drug (the vial spun of silk), then repeated pairings of object and reward will cause the vial to become a powerful cue for the reward. This will induce Sign-Tracking of drug-taking. The drug abuser engaged in Sign-Tracking of drug-taking is driven by an impulse that is invisible. It is a Sign-Tracking impulse to touch and consume the symbol of reward. The drug addict is completely in the dark, and cannot understand why they are taking drugs, when their intention is to quit. In their darkest moments, while taking drugs against their will, addicts may be overwhelmed by feelings of helplessness and despair, unable to stop crying while at the same time they perform the act of drug-taking. 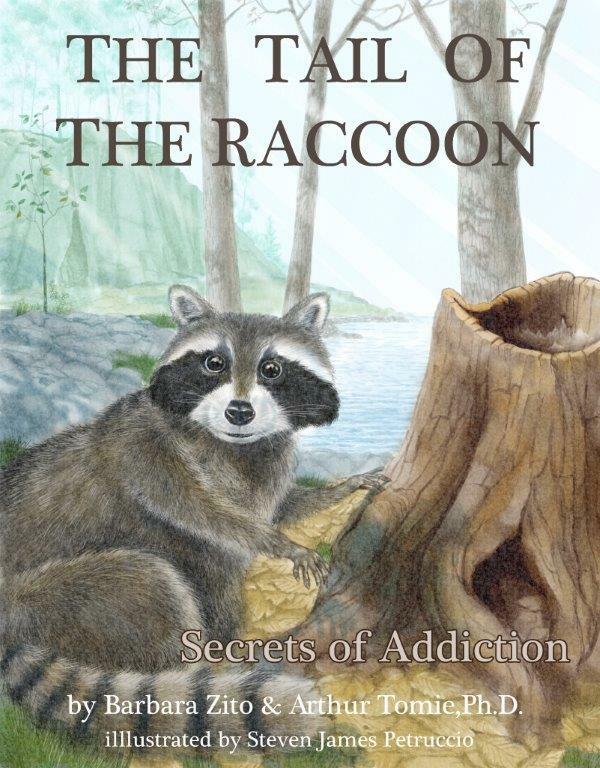 The third story, “The Tail of the Raccoon, Part III: Departures” describes the struggles of the addict who is highly susceptible to the power of the reward cue. After falling victim to Sign-Tracking of drug-taking, when he is offered the vial that he cannot resist, he falls back into addiction. Though Lepus has resolved to stay away from Alatro’s potion, he relapses repeatedly because he cannot resist the temptation of the silk vial. Lepus is a Sign-Tracker. He reacts emotionally to drug-paired cues. When in the presence of stimuli associated with Alatro’s potion, Lepus is overwhelmed by relentless cravings accompanied by persistent urges to experience the potion’s rewarding effects.